Jon Locke graduated from Florida State University. He went on world tour for 11 months with the US Air Force for the play, "Flame Out", written and directed by Alan Mowbray. He was honorably discharged in time to recreate the co-starring role of Tex, an F-86 fighter pilot in the Broadway production directed by Mowbray and produced by John Wayne. He was invited by director John Sturges to appear in the film The Scarlet Coat (1955). He also had a recurring role in the Broderick Crawford series "Highway Patrol" (1955) as Officer Garvey. 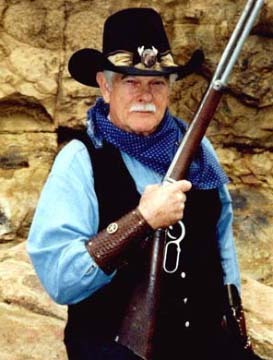 Jon went on to star and appear in more than 250 western television shows and movies, including "Gunsmoke" (1955), "Tales of Wells Fargo" (1957), "The Virginian" (1962), "Bonanza" (1959), "Cimarron City" (1958), "The Texan" (1958), "26 Men" (1957), "Daniel Boone" (1964), "Laramie" (1959), "Alias Smith and Jones" (1971) and many more.